[By Nick] Seeing as I had a good experience with Turkey Hill's No Sugar Added Butter Pecan light ice cream, I thought I might want to check out some other companies as well. Enter Blue Bunny's Sweet Freedom line. They surprised me with their Brownie Sundae flavor so maybe they'll be able to win me over here. Wait Nick, didn't you already review their normal Butter Pecan Ice Cream? Yes I did but oddly enough, this one doesn't have the same description. While that one had a vanilla base, this one is a traditional buttery base. 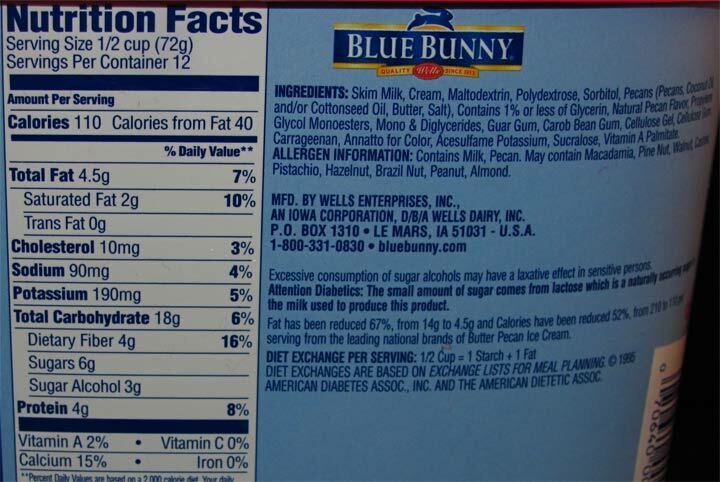 Also yes, this is a 48oz container but no Blue Bunny isn't downgrading the size of all of their products. It seems I moved into a test area where some stores offer 56oz containers and other 48oz ones for optimal freezer space. It honestly doesn't make much of a difference to me so let's move on to the ice cream. 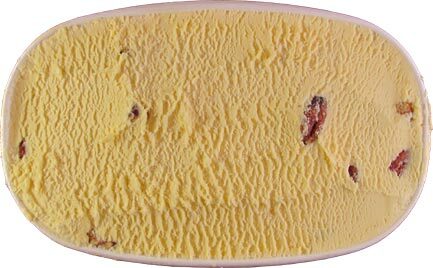 Well it looks like butter pecan with its yellowish base as opposed to the whiter regular version. It even tastes a lot like a traditional butter pecan. Color me surprised! I thought it was going to be sweeter like the one from Turkey Hill but that's not the case. 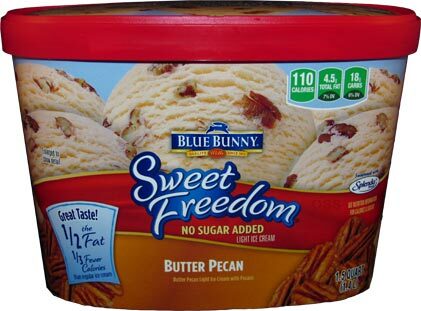 I think the key here is Blue Bunny has more pecans and they're a bit saltier than Turkey Hill. That saltiness helps to detract from the extra sweet artificial sweeteners being used. To be honest, I wouldn't really believe this was a no sugar added option. I would know it was a light flavor though since it's obvious in the base. While it's denser than others, it still has enough airiness to it to make you realize that this isn't a full-fat option. 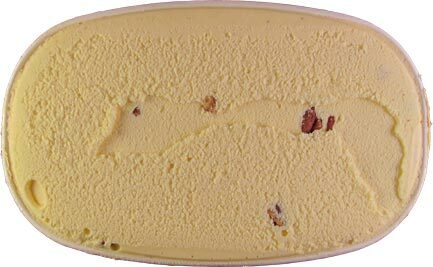 If you're looking for a lighter butter pecan ice cream, I would have no problems recommending this to another person. I could actually see myself buying it again when I want a lot of butter pecan without the hefty calorie count that would come from other brands.